Silva Mirovics from Nutritional Empire has recently released her Handbook for the Aussie Vegan. A book which incorporates Australian Vegan businesses in one handy resource. It includes recipes by some of Australia's vegan businesses, as well as a collection of articles submitted by well-known Aussie vegans. I asked Silva about the book, the upcoming launch and her Nutritional Empire website. How and why did you become vegan? I stopped eating meat at the age of 19, way back in 1984. I don’t really know why I stopped, but somehow meat just tasted wrong. I did still eat eggs, cheese and fish. In 2009 I stopped eating fish and eggs, and in 2010 I became vegan. It was a natural progression really, as the more aware I became of how the dairy and egg industries operate, the more I knew I could not be a part of it any longer. I don’t miss anything about cheese and eggs. In fact I have never felt healthier. I only wish I had become vegan years ago. 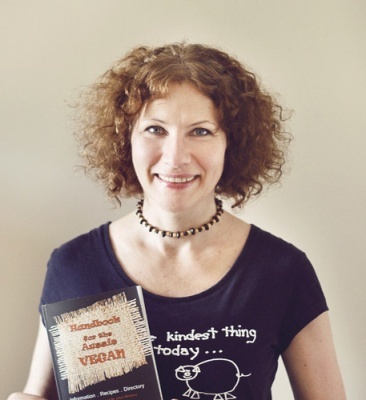 Why did you decide to compile the Handbook for the Aussie Vegan? I was looking at many vegan resources (both online and in print) and nearly everything I came across was from the USA or from the UK. Most of the vegan recipe books I found included measurements and ingredients that were really unfamiliar to me. Apart from knowing of Phil Wollen and Kindness House, Sea Shepherd and Edgar’s Mission, I had no knowledge of the larger vegan community that was established and growing in Australia. So I set out to compile this information for myself. Then thought, ‘’Why not compile it for others as well?’’ That’s how it all began. 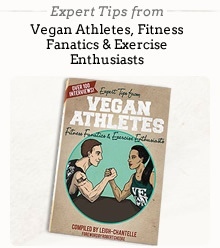 I also thought that featuring famous Aussie vegans’ recipes would be a point of interest to the regular person. There are many people involved with contributing to the book. How did you get in contact with them all? Lots and lots of emails Leigh-Chantelle! Getting information from other people is a long and repetitive process. I understand how busy people are, and so I just persevered until I got responses. If I did not hear back from people I was not comfortable to include them in the directory. Hence, there are some businesses I was not able to confirm with. But on the other hand, I did receive responses from many amazing businesses, some well-known, other’s less famous, but just as important. I was very lucky that Phil Wollen agreed to write the Foreword for the book and that Vegan Australia provided support towards getting the book out there. I am also very grateful to the naturopaths and authors who contributed articles, and the businesses who submitted recipes. What has the response to your book been so far? Most comments have been very positive. New vegans have found it a very useful tool, and well-established vegans have even come across some organisations and businesses that they had never heard off. I am so pleased that I was able to offer something for everyone. I have even had a few non-veg people tell me that the book has made them think about how they eat. And most people I speak to have a favourite recipe that they have attempted to make from the book. This is my first book and I created it from my heart, so what else is there to say? Tell me about the book launch in Melbourne next month. I am having my first ever book launch on Friday 26th April, at Kindness House. The book launch is part of the We Love Life vegan festival in Melbourne, which is running that week. It is an evening function (6.30 – 9.00pm). Comedian Jason Carstens is going to MC the evening. I have had a lot of support from Mark Doneddu (VegVic) – Mark and Jason have helped a lot with the organising. There will be some vegan snacks to nibble on, and an awesome raffle. Some of the businesses who feature in the book have donated amazing products towards the raffle. All proceeds from raffle ticket sales will go towards 2 not-for-profit organistations – Vets For Orangutans, and Save Orangutans. We will also be featuring some guest speakers (yet to be confirmed), who will talk about why they are vegan and how their businesses are helping change the world. We will have about 15 signed copies of the book for sale on the evening, and people will also be able to purchase the e-book version at the launch as well (we will have a laptop set up with internet connection). The book launch will take place on Friday 26 April at Kindness House, Melbourne from 5:30pm. See more info here. What are your plans with your website, Nutritional Empire? Nutritional Empire is an evolving enterprise. I am always creating and trying new vegan recipes, and when they work out I post them on the site. I search the web for other easy to make recipes and post those - always crediting the creators. I really enjoy interviewing people and have a monthly segment called My Favourite Vegan featuring an Australian Vegan Business person each month. Currently I am studying Nutritional Medicine so I like to add some nutritional facts on the site, as well as any vegan lifestyle info, and any upcoming Australian vegan events. I am also venturing into raw cuisine and like to post any courses I attend and any new recipes I learn how to make. My plans are to write more books, interview more people, learn more recipes and run workshops in vegan cooking/un-cooking (raw) and help create a more compassionate World. Other than Viva la Vegan! and The Vegan Society NSW, there are many other people and groups who submitted articles, stories and recipes. See the Nutritional Empire website, FaceBook page and the Book Launch event for more information.